Our first visit to the East End. Situated on the rise of Munjoy Hill above Washington Ave, this 2 family home sits on the corner of Sheridan Street. The history is very weak. The owner in 1924 was James McCarthy. I will give a build date of ca: 1875. 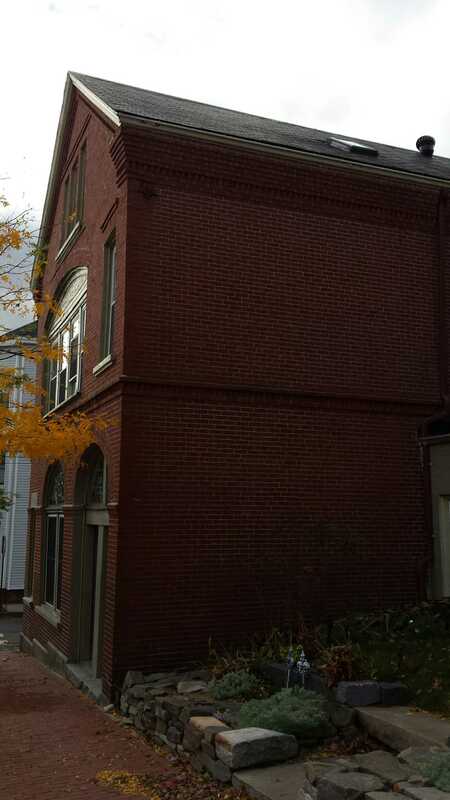 It shows allot of details in the brickwork seen in higher style homes of the West End and Deering Street of that period. The stained glass in the first floor arches is the same as in the tax photo. As to how original it may be beyond 1924 is an unanswered question. 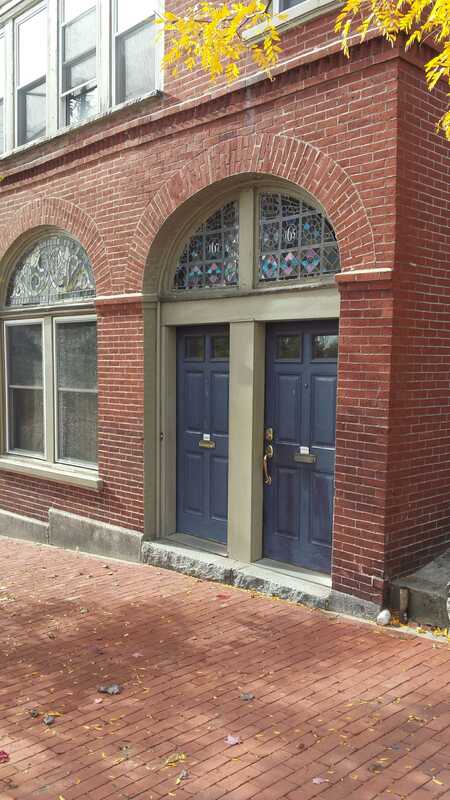 The tax photo also shows what was originally in the broad arch of the second story. It was a bay that projected minimally from the wall. The added depth certainly would have helped balance the wall visually. A bit of a shame that it’s been removed. 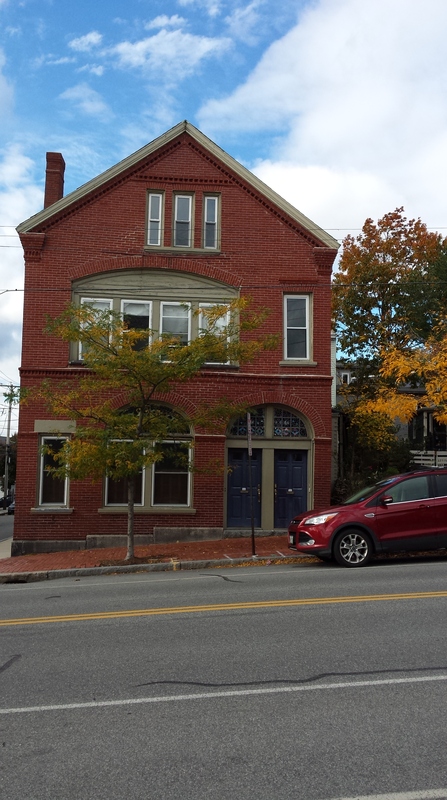 This entry was posted in Architecture, Brick, Congress Street, East End, History, Images, Sheridan Street and tagged Brick, Congress Street, East End, History, images, Maine, Munjoy Hill, Portland on October 26, 2016 by alewifecove. Built for, and probably by, FW Cunningham.